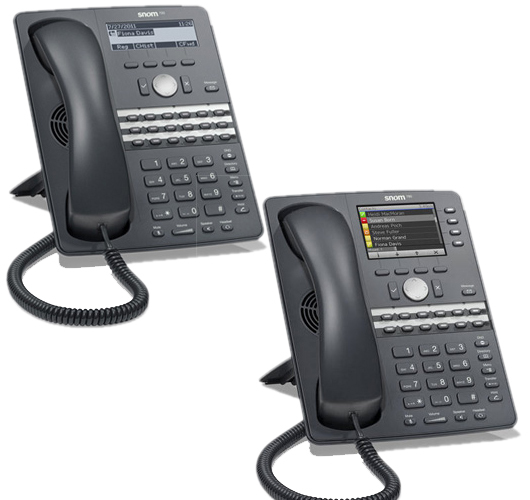 Allstate IT Solutions offers snom telephone systems in conjunction with our business telephone service. snom’s portfolio includes cutting-edge, SIP-based telephony devices that are recognized for their rugged, commercial-grade performance, reliability, and ease of interoperability. The combination of snom business telephones and Allstate IT Solutions VoIP Business Phone Service will keep you connected anywhere, anytime. In fact, multiple office locations, remote workers, and sales people can use the phone system from any location with a working Internet connection as if they were right there in the office with you.